There is a significant populist trend in which ‘elites’ are increasingly seen as being ‘out of touch’ with ‘ordinary people’. This is manifest across the globe but includes Asia. WIAC2019 considers the role and position of women in Asia in an era of anti-elitism. A range of pressing social, economic and legal challenges face the nation-state and regional stability due to rising populism in Asia. generate new knowledge about the impact of changing gender norms in the context of growing support for anti-elite, conservative and fundamentalist movements. adopt an interdisciplinary, comparative and gendered approach. consider how changing gender norms intersect with populism’s appeal in Asia. explore the ways that perceived threats to traditional norms of men and women’s roles and diverse expressions of gender and sexuality are fundamental to the rise in Asian populism. The rise of female education and protective quotas has expanded women’s roles in politics, the medical and legal professions and businesses and unsettled the normative gender divide of domestic sphere (female) vs public sphere (male). New technologies of communication and media challenge traditional gendered power norms. As women’s economic, political, technical and social power increases, men sometimes perceive themselves to be the losers of a zero-sum game. Populism is gendered and Asia offers excellent opportunities for exploring cross-cultural, cross-religious, trans-historical evidence on this rising global phenomenon. What is the Women in Asia Conference? The Women in Asia Conference is affiliated with the Women’s Forum of the Asian Studies Association of Australia. WIAC2019 is the 12th Women in Asia Conference. It is being held at UNSW and supported by UNSW’s Institute for Global Development. WIAC2019 is titled, 'Women in an Era of Anti-Elitism: Responding to the Challenge of Rising Populism and its Threat to Gender Inclusivity'. This theme explores the gendered processes of political power, examining the ways it is generated, reproduced and challenged. We especially invite papers that approach political power as a resource or form of capital that can be accumulated and appropriated through the (gendered) relations between political actors. In particular, we wish to explore the different ways that women generate political power—for example through emotional labour or acts of piety—and how this power contributes to achievement of broader political objectives: their own, and those of other actors. The theme is exploratory, raising new questions such as: What are the processes through which female political power is appropriated by male political actors or larger party machinery? What are the returns on women’s political labour, and how does this differ to the returns for men? How do/can women generate collective political power that challenges patriarchal relations? How do women’s strategies to generate political power contribute to populist politics, and potentially the (inadvertent) harming of women’s interests? Across Asia, the legal profession and the judiciary have undergone major changes since the Asian Financial Crisis of 1997. This includes changes in the structure and size of courts, judicial reform and changes in legal practice. Yet little scholarly attention has been paid to the role of women in the legal profession and the judiciary in Asia. This stream will consider the sociological and political dimensions of the role of women in the legal profession in Asia in an era of anti-elitism. Asia presents a new comparative context within which to explore the position and influence of women in the legal profession, and the ongoing barriers and limitations to women’s participation in the profession. Likewise, women in the judiciary in Asia are understudied. While there is renewed scholarly attention to the feminization of the judiciary, little consideration has been given to trends in Asia. Existing research suggests that new lines of inquiry and modes of analysis are required, particularly for legal traditions (such as civil law or plural legal systems) that do not fit within the existing scholarship on women in common law and/or liberal jurisdictions. This stream will focus on the mobility of women in the legal profession, the extent to which issues of gender inequality are being addressed among lawyers and judges, and what is distinctive about professional identity formation for women in law in Asia. Recent technological advancements fostering new collaborations and social networking have delivered both positive community development outcomes and evoked new challenges to societal norms across Asia. This stream aims to provide an open and constructive discussion forum of the role of technology to foster fair and reasonable opportunities for participation in economic activities, for decision-making and to influence policies across Asia. This includes: how technology is used to foster the open exchange of ideas and the freedom of expression, enabling and promoting participation in the economic activities and decision-making without distinction based on gender differences? how individuals and organizations are using technology to achieve gender balance and cultural change in certain industries? How governments and NGOs recognize the capability of technologies in order to respond to challenges of inclusivity ? How technology challenges traditional gendered power norms? We encourage submissions from researchers representing all ontological perspectives and we welcome qualitative, mixed methods, conceptual works and papers that examine the above topics. Campaigns against elites often invoke conservative, patriarchal gender norms in which feminism and women’s rights are marked as dangerous, foreign cultural influences. Nationalism and fundamentalism often combine with misogyny and intolerance towards gender diversity and LBGTI peoples. How are these trends manifest across Asia? What forms of resistance are emerging? Are their historical precedents from national independence movements? How are women being invoked as symbols of virtue/pride in nations and communities as ‘traditional’ values resurge? Does gendered populism operate differently in non-democratic or semi-democratic nations than it does in multi-party democracies? The stream seeks to explore how women and LBGTI communities are faring in the era of rising populism. It also seeks to invite consideration of how we can gender existing theories of populism and make them meaningful to research and activism in diverse Asian contexts. Final Registration closes: 20 April 2019 (Please note that all presenters must be registered by this date to be confirmed for presentation). 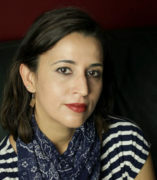 Tarini Bedi is an urban and political anthropologist who conducts research in South and Southeast Asia. She is Associate Professor of sociocultural anthropology in the Department of Anthropology at the University of Illinois at Chicago. Her research and teaching interests lie at the intersection of urban and political anthropology, gender studies, anthropology of infrastructure and mobilities, and cultural geography. Her first book, "The Dashing Ladies of Shiv Sena: Political Matronage in Urbanizing India" (2016, SUNY Press) develops a feminist theory of brokerage politics. It is particularly interested in the expressive, masculinized, and visual forms of politics utilized by low- level women politicians in Western India. She is currently finishing up a second book manuscript, Everyday Technologies of the Urban: Motoring and Mobilities in Bombay/Mumbai's Taxi Trade which looks at the social, material, political, labor and manufacturing histories of road transport, motoring, and automobility through the lens of the taxi trade in Bombay/Mumbai. We are excited to release the first draft of the program which details the exciting panels and presentations. You can view the first draft of the conference program here. Please note that this program is indicative only and is subject to change. A full list of paper and panel allocations will be made available closer to the conference. We are delighted to host a half-day free ECR workshop from 12:30pm - 4:30pm on Friday 21st June. We strongly encourage all ECRs attending the conference to consider participating. The workshop will include four sessions, afternoon tea and the chance to network with other ECRs attending the conference. The full program is available here. Paper and panel submissions are now closed. Registrations for the Women in Asia Conference 2019 are now open! Early bird tickets will be on sale until 21st February 2019 at discounted rates. Final registration will close on 20 April 2019. Please note: presenters must register by the registration deadline to be confirmed as a presenter. Late registrations are not possible. To take advantage of this special offer, visit the Sydney Lodges website and use the discount code EDU12. This special rate offers 12% off flexible rates only at the three properties listed above and bookings must be made directly through their website. We have prepared a short guide to the local area including the venue, places to eat and accommodation in the local area. Bursary applications are now closed. The Organising Committee is reviewing applications and applicants will be notified of the outcome by email by 30 January 2019. The Women in Asia Conference UNSW Committee is pleased to advise that bursaries of up to $500 (for domestic participants) and $1000 (international participants) will be available for PhD students and other participants demonstrating financial need. These bursaries are sponsored by generous grants from the Asian Studies Association of Australia, the School of Social Sciences (UNSW) and the Women in Asia Forum. Any PhD student or non-salaried academic demonstrating financial need who has submitted an abstract for the conference is invited to submit an application for a bursary. The bursary will be provided after the conclusion of the conference and will require submission of a receipt/s related to expenses incurred in attending the conference (eg flights or accommodation). Please note that you will still be required to register for the conference, although the conference fee for students and casual academics is significantly less than that for full-time academics. WIAC2019 would not be possible without the support of our generous sponsors. You can read more about the organisations and their support below! If you or your organisation is in becoming a sponsor of WIAC2019, please get in touch with the organising commitee at [email protected] - we would be delighted to hear from you! Konrad-Adenauer-Stiftung (KAS) is an active political foundation operating worldwide. KAS promotes peace, freedom and justice through political education. The consolidation of democracy, the promotion of European integration, the intensification of transatlantic relations and development cooperation are our particular concerns. KAS is supporting panels in the law stream of the Women in Asia Conference, funding flights and accommodation for participants to present their research. Thank you! The Asian Studies Association of Australia (ASAA) is the peak body of university experts and educators on Asia in Australia. The ASAA takes a strong interest in promoting knowledge about Asia in schools and in contributing to state and Commonwealth government policies related to Asia. The support of the Asian Studies Association of Australia will go towards bursaries that will enable students to present their research at WIAC2019. Thank you! Many UNSW schools and centres have provided support to WIAC2019. You can read about them and how they are supporting the conference below. UNSW Business School is a leading Asia-Pacific business school, with a focus on collaborative education and research partnerships that extend throughout the Asia-Pacific region. UNSW Business School’s original and relevant business research shapes economic policy and influences the way business is done around the world. UNSW Business School is generously supporting bursaries that will enable students to present their original research at WIAC2019, as well as sponsoring the Director of Diversity and Inclusion of the Association for Information Systems to attend the conference. Thank you! The Gilbert + Tobin Centre of Public Law in the Faculty of Law plays a prominent, independent role in public debate on issues vital to Australia's future including Charters of Rights, federal reform, reconciliation and native title, refugees and migration law and the challenges of responding to terrorism. The Gilbert + Tobin Centre of Public Law are supporting the panels in the Law Stream of the conference and will enable presenters on these panels attend WIAC2019. Thank you! UNSW Law is ranked 16th in the world and is Australia's leader in progressive and rigorous legal education and research. Inspired by principles of justice, UNSW Law has a focus on law in action and makes a difference in this world. UNSW Law are generously support the panels in the Law Stream. Their support will allow presenters in this stream attend and present their original work at WIAC2019. Thank you! UNSW Arts and Social Sciences combines outstanding teaching and research with a commitment to public engagement, social impact and an international perspective. UNSW Arts and Social Sciences is sponsoring WIAC2019's keynote speaker, Dr Tarini Bedi, through the Faculty Distinguished Visitors Program. Tarini Bedi will be joining WIAC2019 from the University of Illinois in Chicago and we are grateful for the support. Thank you! Volunteer opportunities are currently closed. Perfect for undergraduate or postgraduate students who would like to network and add an extra-curricular activity to their CV. A time commitment of about 4 hours on 21st June and approx 6-8 hours per day on 22nd - 23rd June. The opportunity to meet leading Asian studies scholars from Australia and the Asia-Pacific region. Ensuring foyer area is clean and assisting with setting out catering. This page will be updated regularly during registration and program development. Please check back for further updates. If you have a question for the organisers, or are interested in sponsorship opportunities, please contact [email protected].